The team that created CURREXEZ was placed among the Top 5 in the SAS Fintech Challenge 2017/2018. (2nd from left): Law Ken Kiet, Yong Yung Sheng, Low Chia Sean, Lee Kang Wenn, Tan Jin Xian, Mr Lai Tak Kong and Dr. Tang Tiong Yew. The team from FOCS who made it into the Top 20. (From left): Dr. Tang Tiong Yew, Ng Wen Da, Voon Zhen Cheng, Lee Wei Chong, Leong Chan Hao and Quek Wei Jian. As the saying goes “teamwork makes the dream work” and this could not be truer for the team of lecturers and students from TAR UC’s Faculty of Computing and Information Technology (‘FOCS’) and the Faculty of Accountancy, Finance and Business (‘FAFB’) who excelled in the SAS Fintech Challenge 2017/2018. 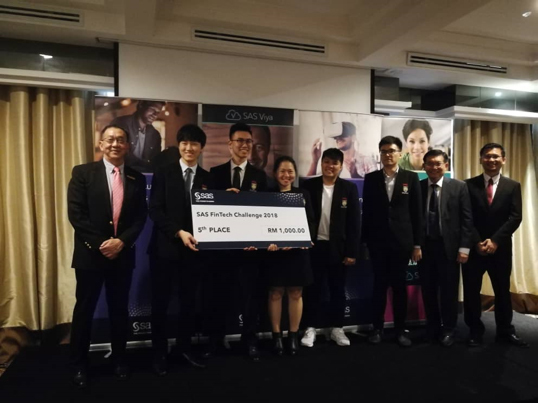 The SAS Fintech Challenge 2017-2018 was a competition for academics and students from Malaysian institutions of higher learning to form teams and generate innovative Fintech ideas. The panel of judges was made up of professionals from major financial institutions in Malaysia such as Maybank, CIMB Bank, Hong Leong Bank, Public Bank and RHB Bank. Combining the strength of both faculties, one of the three teams representing TAR UC which consisted of FAFB students Law Ken Kiet, Yong Yung Sheng, Low Chia Sean and Mr Lai Tak Kong, Programme Leader from the Department of Finance, FAFB as well as FOCS students Lee Kang Wenn, Tan Jin Xian and Dr Tang Tiong Yew, Senior Lecturer from the Department of Computer Science and Embedded Systems, FOCS, made it to the Top 5 in the said competition and walked away with a cash prize of RM1,000. CURREXEZ, an app which is the brainchild of the team, aims to make exchanging foreign currencies to Ringgit easier for travelers. The app enables users to check forex rates, book a rate for exchange in advance and also indicate when and where they will be collecting the money. All this with just a few clicks via the app. Concurred that the collaboration between FOCS and FAFB students and lecturers was enlightening and mutually beneficial for both parties, Law Ken Kiet, a Bachelor of Banking and Finance (Hons) graduate, shared that his ultimate take-away from the competition was the experience in pitching Fintech concept and ideas to industry professionals. “Our critical thinking skills and problem-solving abilities were tested throughout the competition. As a fresh graduate, I feel that these softs skills are an added advantage in building career,” he said. “The collaboration between FAFB and FOCS was an eye-opener for the team members. The Finance students were able to see firsthand how their business concept was given "life" and brought to fruition by technology. 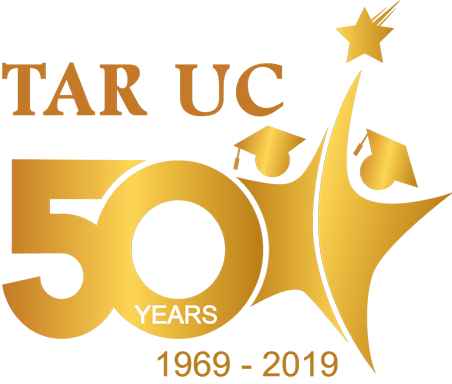 On the other hand, IT students were able to witness how technology was used to convert a business concept into a viable business proposition,” added Mr Lai. Additionally, another team of FOCS students consisting of Ng Wen Da, Voon Zhen Cheng, Lee Wei Chong, Leong Chan Hao and Quek Wei Jian managed to crack into Top 20 in the same competition and also took home a cash prize of RM1,000 in recognition of their achievement. The group received business idea improvements from Mr Wang Ah Yong, Senior Lecturer from the Department of Finance, FAFB.